Search engine optimization (SEO) is a valuable tool when implemented correctly on your website to help improve your search engine rankings on Google and the other major search engines. However, what many people might not know is certain SEO techniques do more harm than good. Part of the reason for this is Google is ever-evolving and adapting with updates to their guidelines regarding SEO, how they rank websites, and so on. More recently, Google has been shifting its focus more towards creating outstanding user experiences for site visitors. As such, the amount of time a visitor stays on your website and web pages does help boost your SEO. So, now that you understand SEO constantly changes, which techniques are bad for your SEO? Stuffing keywords into online content was a practice that was used ten to fifteen years ago in the early years of Google and SEO. At that time, oversaturation of keywords was not distinguished by Google’s algorithms and web crawls so it actually pushed sites up higher in the ranks. However, as Google became aware of this problem, they implemented changes to stop rewarding sites that spammed keyword after keyword. Today, if you use this technique your site will be ranked lower. 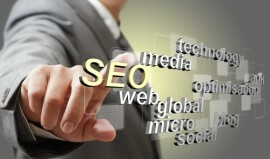 Buying backlinks for your website is a practice many inexperienced website admins will do. The problem with this is you have no idea what the actual backlinks are in regards to the types of websites that end up linked to yours. While this practice was also widely used a decade or so ago, Google now considers purchased backlinks bad SEO. Instead, you want to establish trusted back links relevant for your website content and industry. If you have numerous outbound links to other sites, which creates backlinks for them, it can also be viewed as bad SEO. You should limit the amount of outbound links you use and only link to relevant sites. For instance, if you are a doctor’s office, having outbound links to other healthcare sites is acceptable, while linking to local car dealerships would not. If you have ever clicked a site’s link from Google and then sat there while page content loaded and one ad after another popped up or loaded onto the page, then you know how annoying this can be for site visitors. Most people will either quickly close the site or click back to Google, both of which hurts your rankings. Not to mention, excessive ads are viewed negatively by Google. So stuffing your page with ads might seem like a good way to earn some extra revenue, but users will have a harder time finding your site. Aside from these bad SEO techniques, you will also want to avoid publishing duplicate and or irrelevant content on your site. To learn more about proper SEO techniques to help boost your rankings with the major search engines, please feel free to contact Webryze at (416) 900-1047 today for a FREE SEO analysis!